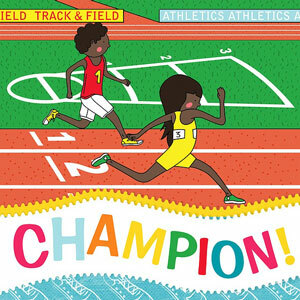 Track and Field Day is a year-end tradition at many schools. Besides being a fun school event, Track and Field Day can also be a great money-maker for your school. Here are a few easy ideas you can use to create your Field Day school fundraiser. The easiest way to create a Track and Field Day school fundraiser is to charge an admission fee for community members, parents, and other spectators and an event fee for participants. Also, wristbands or buttons make easy admission tickets. 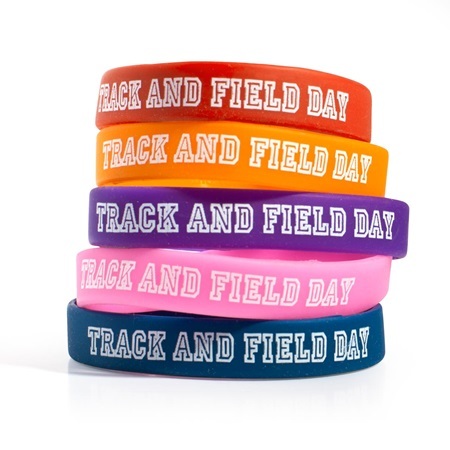 Get silicone wristbands with a Field Day imprint or your school name and sell them at the door. An admission wristband or button gets wearers access to watch all the events. 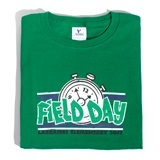 Field Day can be an all day event. Therefore, offering concessions is a great way to help participants and spectators get through the day– and raise money for your school. 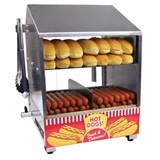 Include traditional concession stand fare, like popcorn, nachos, hot dogs, cotton candy, and sno cones. For even more profit, put popcorn in popcorn megaphones and soda in fun cups or water bottles imprinted with your school name or Field Day date and sell them for a little more money as a fun keepsake of the day. Getting pledges is a popular Field Day school fundraiser idea, and you can do it, too. Ask parents or family members to pledge money to support their students. Pledges can be per event, per hour, or per mile, depending on the structure of your Field Day. Also, students can go door-to-door (under parental supervision) in their neighborhoods to collect pledges, and you can even allow community members to pledge at the door on Field Day. Ask local businesses if they will sponsor your Field Day school fundraiser by making a donation in exchange for ad space or a shout out on a banner or in a program on the day of the event. It’s a great way for businesses to get their names out there and for your school to add a bit more money to the treasury. With these easy ideas to turn your Field Day into a school fundraiser, you can give your students, parents, and community members a fun event and add dollars to your school budget at the same time.